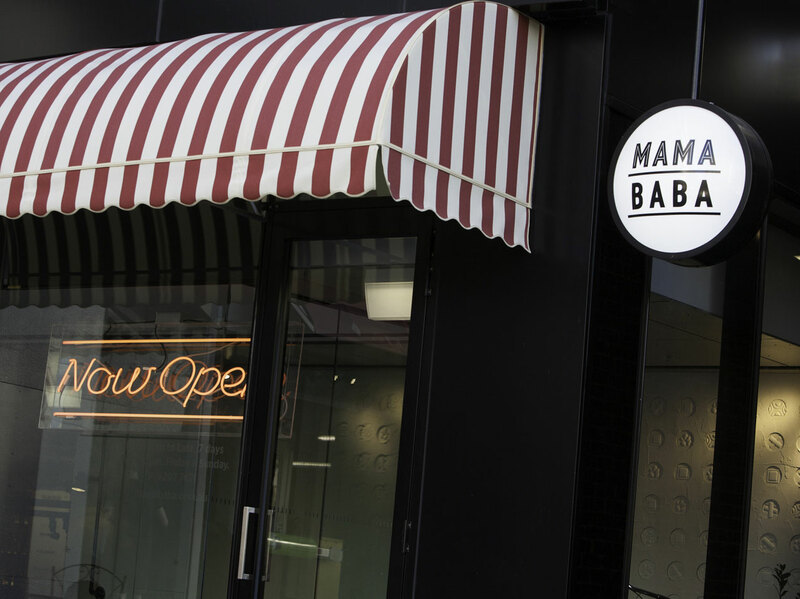 Mama Baba, George Calombaris Restaurant, Toorak, Melbourne. 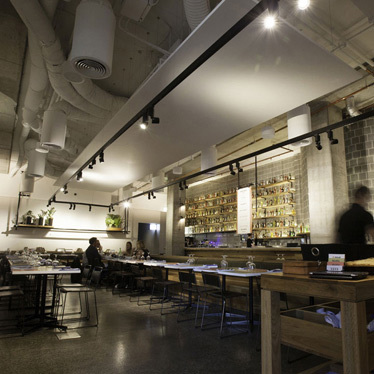 Large open restaurant area with exposed services on the ceiling. 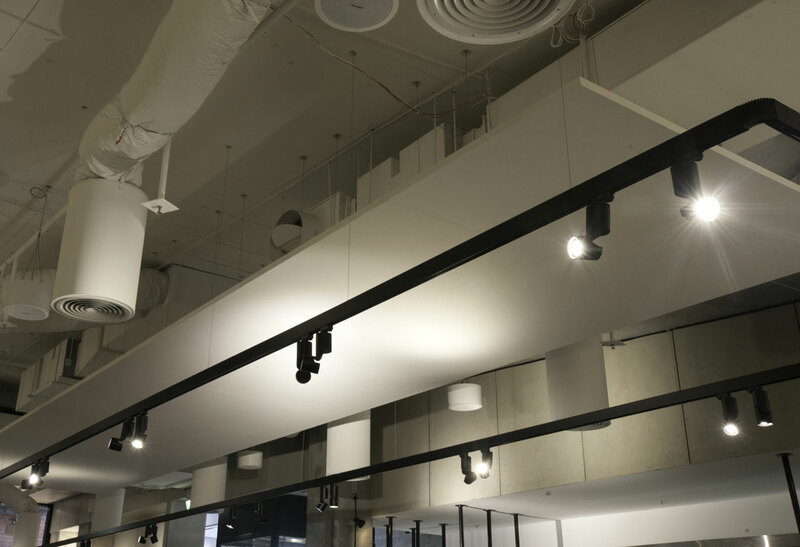 Introducing acoustic panels on the ceiling provided the space with some absorption to a solely hard surfaced area causing excessive reverberation. 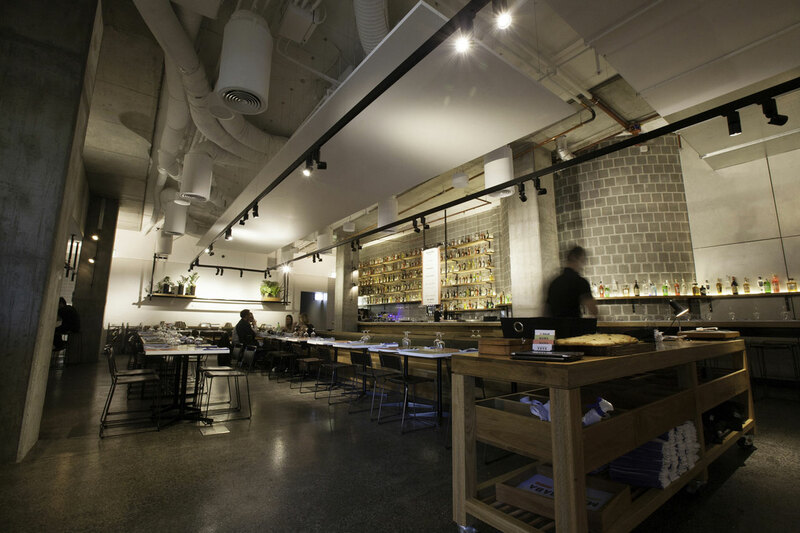 The QuietSCAPE acoustic panels have a white plaster finish and were hung on cables over the main eating area, bar and open kitchen. 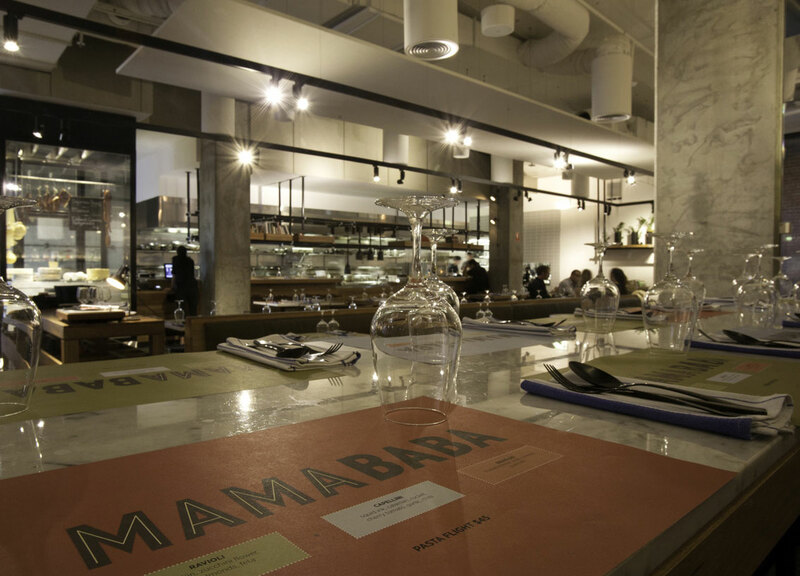 This helped reduce some of the and increase the speech intelligibility for diners to maximise their experience.